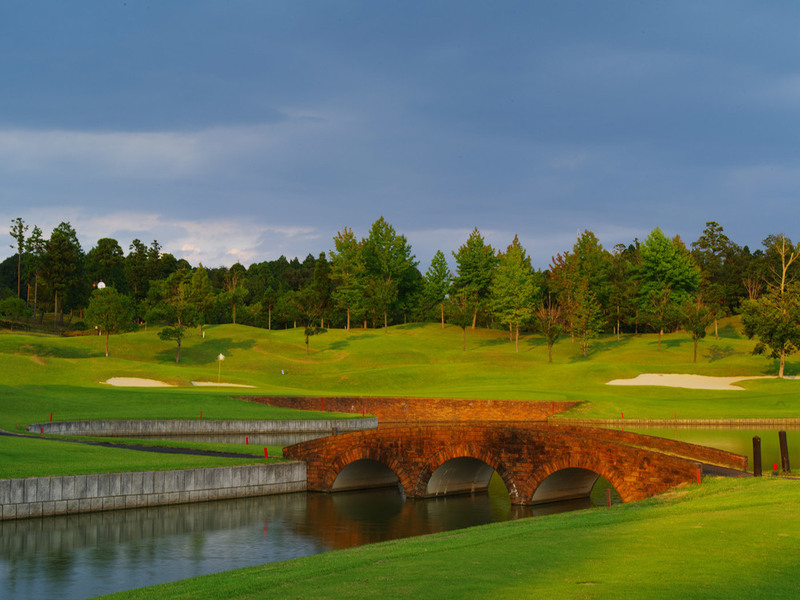 Named to evoke an image of Robin Hood’s Sherwood Forest, the Taiheiyo Associates Oarai Sherwood Course enjoys the typical climate of the eastern seaboard of the island of Honshu with a high ratio of sunny days throughout the year. Pleasing sea breezes in the spring and summer and comfortable warmth during the fall and winter make for refreshing golf the year round. From beginners to highly competitive golfers, this 18-hole course satisfies everyone. In addition, the surroundings provide wonderful opportunities for homebound shopping for such seasonal delicacies as Asahimura melons, shijimi clams from Hinuma, and anglerfish from the Oarai harbor. Still, another drawing card is the lunchtime buffet of Oarai seafood, employing the freshest ingredients in dishes combining Japanese and Western buffet styles and served in a sunny restaurant overlooking the golf course. Recommended holes: Driving Contest—No.5/No.11. Closest to the pin—No.4/No.14. From the Misato Interchange (Joban Expressway) 69 km to the Iwama exchange; from there 25 km to the course (about 35 minutes from the Iwama interchange). From the Chiba Kita interchange (Higashi-Kanto Expressway) 57 km to the Itako interchange (National Highway No. 51). From there 43 km to the course (about 50 minutes from the Itako interchange). The JR Joban Line from Ueno Station to Mito Station (65 to 75 minutes on the Super Hitachi or the Fresh Hitachi train). A taxi from Mito Station, on the JR Joban Line, takes 30 minutes and costs about 5,500 yen.